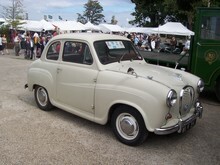 Following on from the successful A30 commercial variants, Countryman estate car and Van versions of the new A35 appeared alongside the new A35 Saloon models at the new cars launch in 1956. 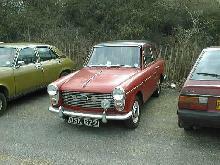 As before the Countryman body was really little more than a civilised version of the Van. The Countryman had proper sliding rear windows and a folding rear bench seat for rear passengers as well as car type trim and brightwork. 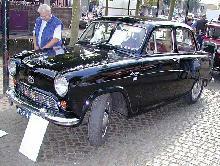 The A35 Countryman used the same 948cc A-series engine used in the saloons, from 1962 the Countryman was dropped from the range , however the van version carried on in production now using the 1098cc engine found in the A40 and Morris 1000, production of the Van carried on until 1968. 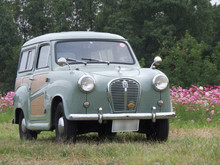 In the early years of the A35 a small Pick-up / Utility Coupe commercial was also available, mainly for export markets, only 475 of these pretty vehicles were ever sold. 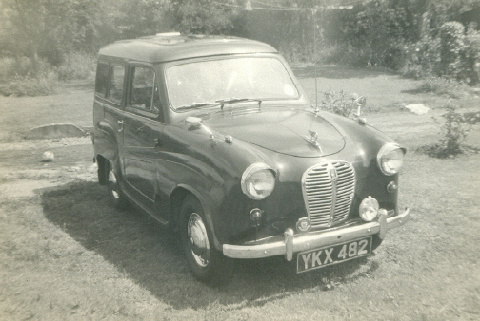 To the best of our knowledge the last big customer for the A35 van was GUS. 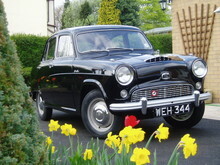 We understand that they found the fuel consumption too high, and for the last bit of the production run they fitted an 850cc engine. Practical Classics January 1993 - Featuring Buyers Guide Austin Babies. Click Here to view in our shop.